Bill Watson has authored 3 books and many articles online and for print publications such as Sports Afield, Income Opportunties and more. 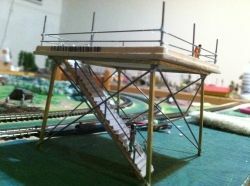 Scratch Build This N Scale or HO Scale Observation Deck For Under $3 In Materials! 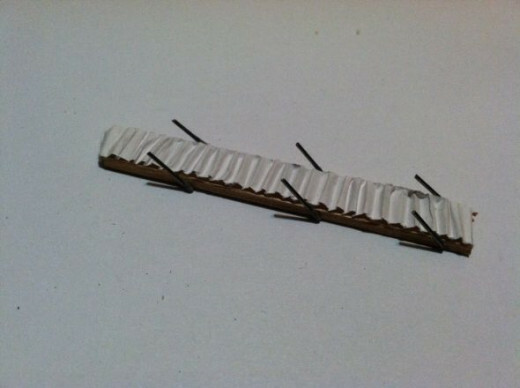 This simple-to-build, do-it-yourself, N Scale or HO Scale project you can build from scratch will greatly enhance your layout. It looks sensational and has more height than most buildings so it will be an attention getting focal point. It will also give you a place to display miniature people doing things people do in these situations such as climbing stairs, holding hands and kissing. Even better, if they get a little carried away then about nine months later you'll be able to add a newborn baby to the scene. Observation platforms are found anywhere elevation would give people a better view of something interesting. 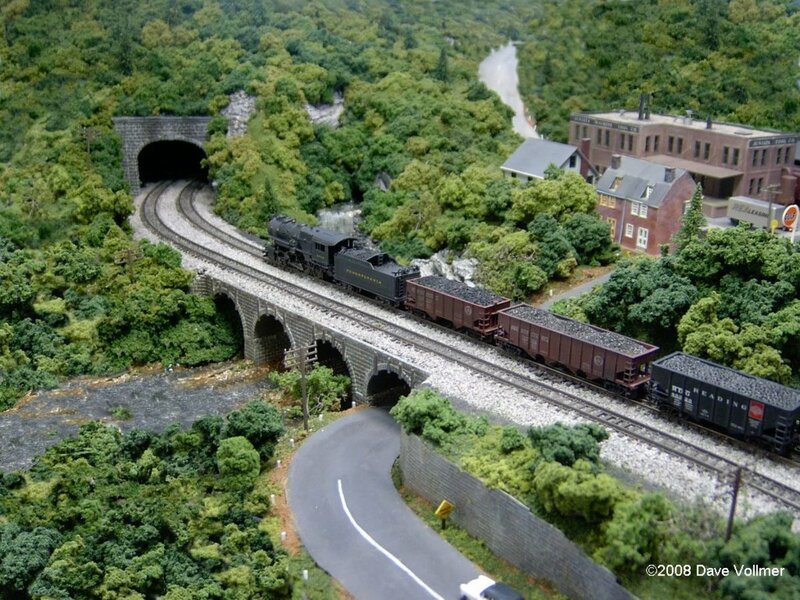 If you have an aesthetically pleasing mountainous area in your N scale or HO scale diorama, you have a great possible location. Or perhaps place it on a bank overlooking a stream; in a spot overseeing a wildlife meadow or on a bank near whitewater rapids. 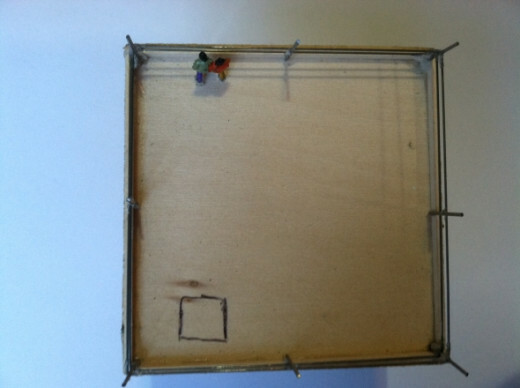 Or maybe put it where it will your mini-people will get a better view of a parade or a Civil War battlefield. If undead miniatures have infested your layout then it might provide a good zombie escape. Bet you didn't think of that one, huh? 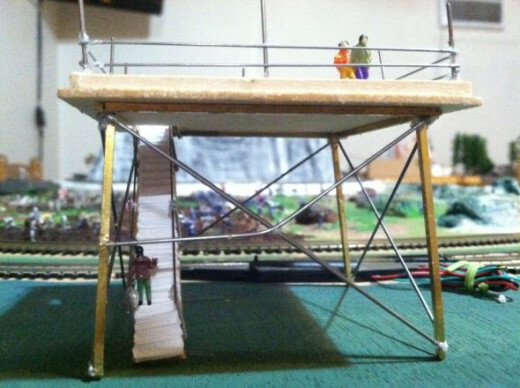 Considering that a kit to build an observation deck similar to this costs $39.95 on eBay and doesn't look quite so realistic, you can save some coin while truly enhancing your layout or diorama with an extremely cool, custom piece, that will set your work apart. 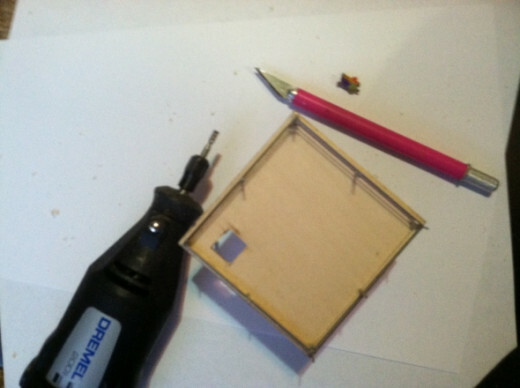 Skill level: This is a novice level cut and paste scratch build. 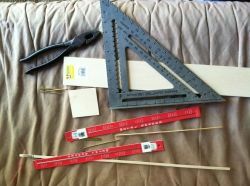 Once materials and tools are gathered the project will take about one to two hours to construct. You may need to spend a little more dough than advertised to obtain what you need in bulk and to tool up, but you'll have plenty of materials left over for future projects. And tools are a long term investment. 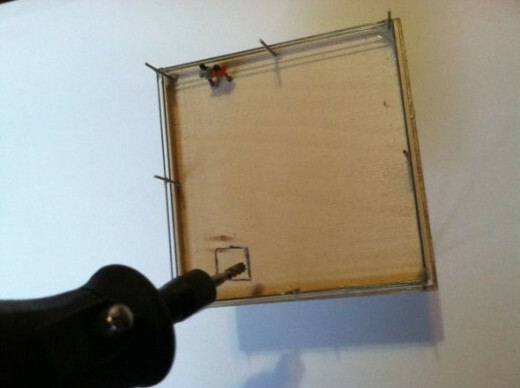 This project will cost you under $3 in raw materials actually used. Pictured is the tower not yet painted. .
Hey look! Two miniature people are already enjoying it! I'm seeing lots of diapers in their future! A few of the tools and materials you'll need are pictured here. 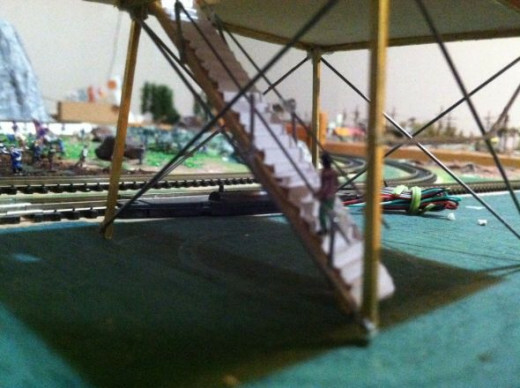 Note that the listed materials are for an N Scale platform size, based on a 40 foot square prototype. The materials listed are what I used and all were purchased from Hobby Lobby. You can substitute with anything similar. Use 3" aluminum instead of basswood for example. Or you can use styrene instead of brass. The case for using real metal for the legs and supports is that the understructure will look good-as-is, prototypical even, without the need to paint. 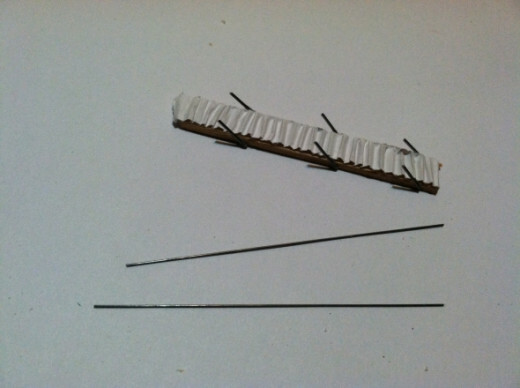 WARNING: You must double material size for HO scale unless you want a smaller scaled structure. If you go with the listed dimensions your HO scale platform will equal 23.5 prototype feet square- which is perfectly acceptable but obviously won't fit as many mini people and you could have a mini riot on your hands! A piece of 3 inch wide basswood for the deck. 1/8" thick is perfect, but it could be thinner as long as it's not floppy. Basswood strips about 1/4 " thick for the fence rim around the platform. Also for the steps. If you're good with wood and have a table saw you could fabricate these from the 3" basswood leftover section but pre-cut makes it easier. .020 music wire, about 2 feet long, for the support poles and railing around the deck. .032 music wire, about 2 feet long, for the cross braces on the legs. 1/16th inch square brass, about 2 feet long. For the legs as well as the leg base on the deck. A small piece of copy paper for the steps. Quick Grip glue. Not tacky glue, QG looks more like modeler's cement. These are the tools you need to get the job done. Obviously if you have a Dremel you won't need the drill or the knife. And if you attach a cutoff bit it will sub for the cutting pliers also. A hand saw, or preferably, a mini table saw to cut the basswood. Observation platforms have no set size so you can get away with a wide variety of choice in dimensions. 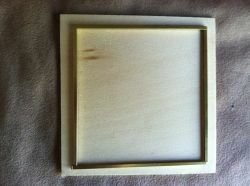 But as a point of reference the one pictured here is for N scale and it's 3 inches by 3 inches. 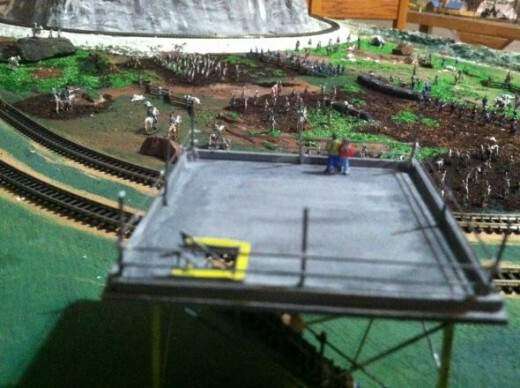 N Scale is 1:160 so In real life it would be about 40 feet across. You can about double that to 6 inches for 1:87 HO scale which would make the prototype 43.5 feet. 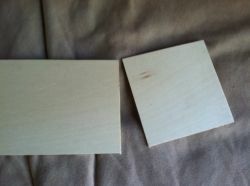 To create the platform simply cut 3" off the end of the basswood to create a 3" by 3" square. 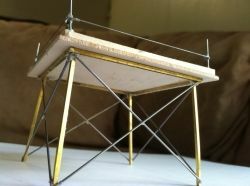 Cut four pieces of 1/16th square brass 2- 3/4 inches long for the leg braces and glue flush to the underside of the platform as shown in the pic. Cut the legs from the same piece of 1/16th brass. Length of legs pictured is 3 inches but you can choose any length you prefer. 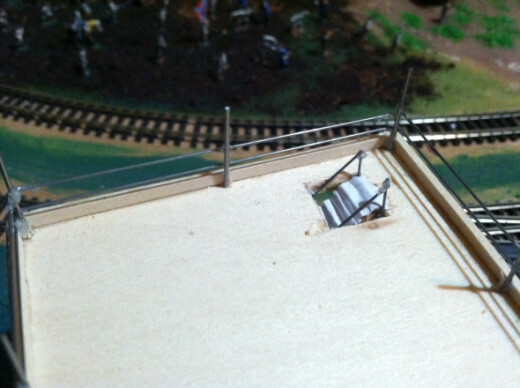 With the underside of the platform up glue one leg in each of the four corners sticking straight up toward the sky. Be sure they are squared, not angled by using the, well... the square! It's critical they be permitted to dry perfectly perpendicular to the platform. 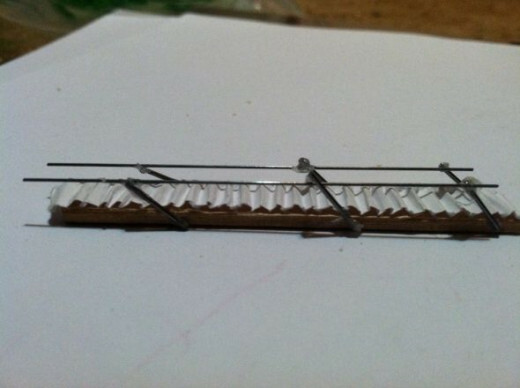 Use the .032 piano wire for the crossbracing of the legs. 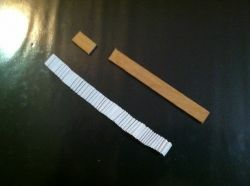 You'll need eight pieces cut to 3-1/8", then glue as shown. For the railing cut four pieces of the 3/8" basswood 2-3/4" in length and glue it in a band around the deck, flush to the top of the deck. Next cut eight 3/4" railing posts from the .032 piano wire and attach them vertically in the corners of the deck. Finally, glue the four 2-3/4" sections of the .020 piano wire to the posts to create the railing so your little dudes and dudettes don't take a fall. A few inches doesn't sound like much but to them it's 40 feet! Set a miniature person figure on the deck and keep the height of the railing just under chest high. 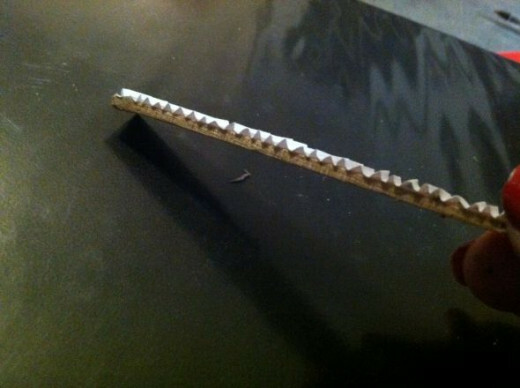 The steps are simply office copy paper folded accordian fashion and glued only at the folds to a 3-1/2 " section of the 3/8" basswood. I used the 4" table saw and Dremel. The others are still on my wish list. Expensive but another good tool to have. This is practically a must have. Great for working with flex track, scratch building, you name the task, there's a Dremel attachment for it.Have one, love it! Next add the 1/4" poles. 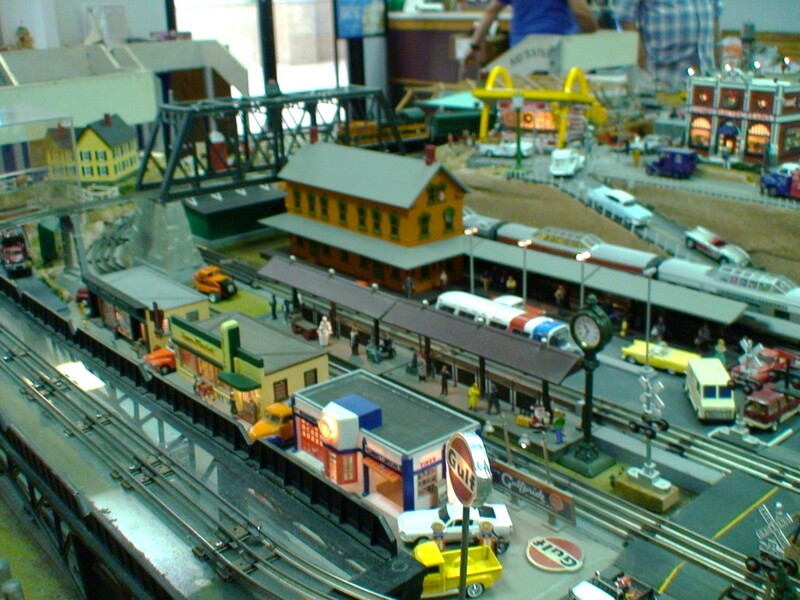 Model Railroading is often referred to as "The world's greatest hobby" because it combines so many skill sets including carpentry, painting, electronics, crafting, photography, historical research and other disiplines. 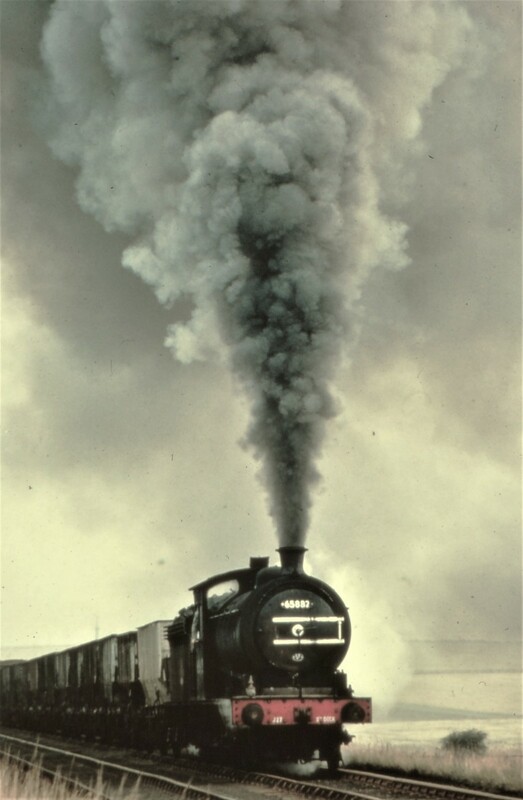 You'll need this for the platform. 3" of it for N scale. Two 6" cuts of it glued together for HO. 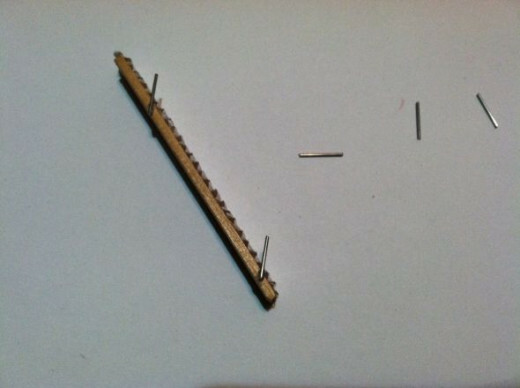 Try this glue for this project instead of super glue, You'll absolutely love it. It instantly tacks and holds the tiny pieces together. The legs, railing etc. will tack and hold instantly. Super glue is thin, runny and glues your fingers together, this is nothing like that. 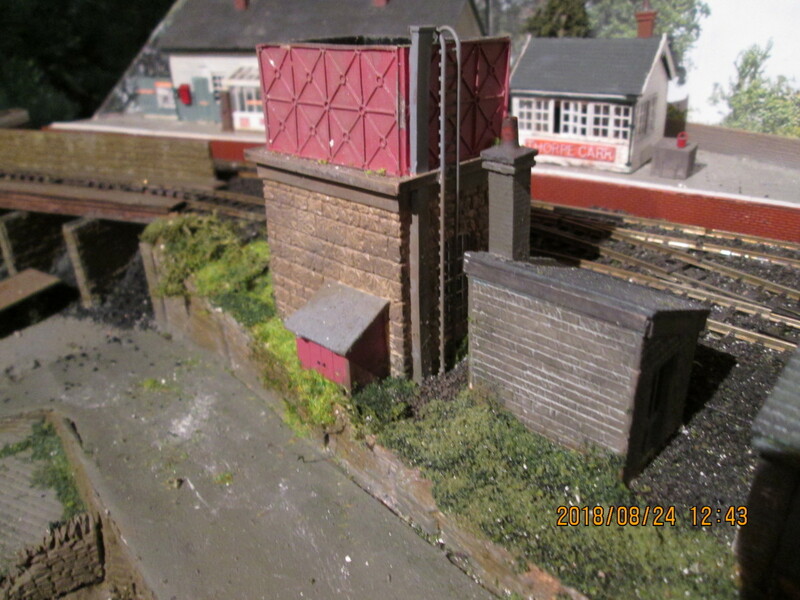 Are Zombies Taking Over Your Layout? - Abraham Lincoln, beloved president, zombie hunter...Who knew? Zombies aren't just for halloween anymore, they're everywhere these days; appearing on model train sets, showing up at town meetings, even invading our past president's lives. Learn how to get rid of them with this historically correct, meticulously researched DVD that details a little known portion of our nation's history... NOT. Abe killing these monsters with an axe in his spare time...who knew? But it's great fun anyway. 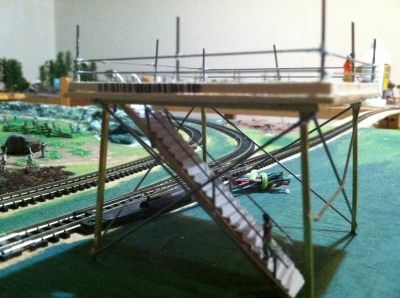 Teaches you to build an N Scale Model Train layout, mostly from inexpensive raw materials. Here's where my tower is going, yours too? Make stuff move! Carousels, ferris wheels, windmills, see-saws, cranes can all move by using hobby motors. Here's How! I placed my tower overlooking the Civil War Reenacment scene at miniature Stone Mountain, GA. In real life there are no towers at Stone Mountain but there is precedent: There are similar towers at the Gettysburg battlefield in Pennsylvania. Your tower looks great! I can't wait for the update to see it with steps and paint! 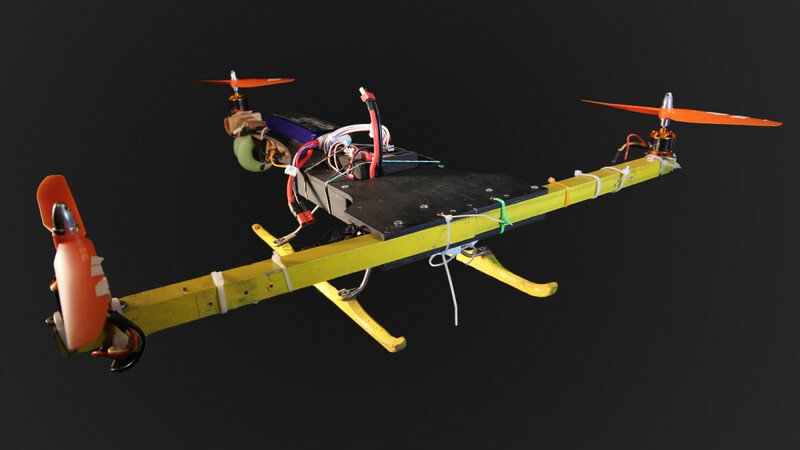 Your article is very informative and should make this project relatively easy for anyone who wants to build one. Also, it looks like your little people are enjoying it just hope the Zombies don't chase them up there and cause them to jump, that 3 inches could be deadly!